A Valentine’s Day video of a schoolboy in South Africa standing in the school yard waiting to surprise his Valentine has started to go viral for all the right reasons. As he waits with a bouquet of flowers, a gift and an ‘I Love You’ balloon, he is surrounded by his very excited class mates. Moments later another schoolboy emerges from the building to excited screams, and the two embrace before kissing each other on the lips. Protests erupted over the The Wound, a queer film that premiered at the 2017 Sundance Film Festival, and its director John Trengove for appropriating African culture and publicising a secret tribal circumcision ritual depicted the film. The traditional Xhola circumcision ritual that is a major topic in the film marks a boy’s passage into manhood. 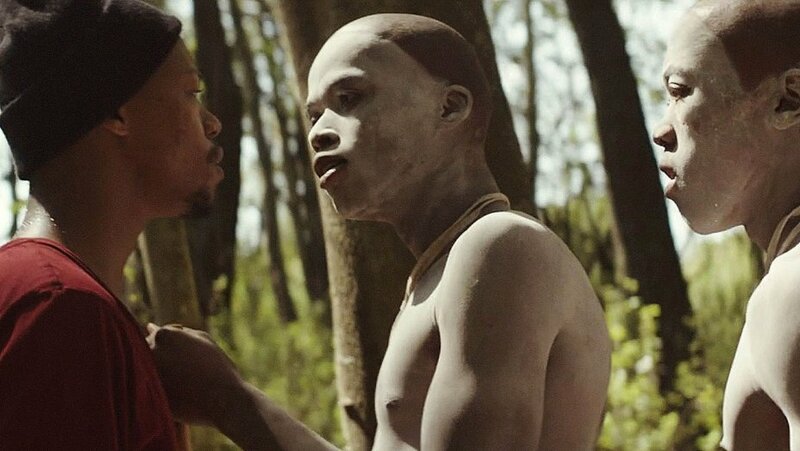 Considering that the ritual has resulted in over 800 deaths, it makes sense why young Kwanda, the youthful initiate in the film, wouldn’t want to go through it. His resistance forces his mentor Xolani to reconsider the traditions and the tribal notions of manhood altogether. The ritual involves a traditional surgeon (called an ingcibi) who severs the initiate’s foreskin using a spear, which is then tied to the initiate’s blanket. The penile wound is covered with a healing plant and for the next eight days, the initiate is confined to a hut (called a bhoma) and forbidden from eating certain foods. After eight days, an ukosiswa rite removes the food restrictions and marks the start of the second phase, which lasts two to three more weeks. The initiates’ seclusion ends when they race to the river to bathe themselves. Finally, the initiates’ hut and possessions are burnt, each initiate gets a new blanket and is called an amakwala (new man) henceforth. Released from the new EP under the same name, Wild comes following a hugely successful YouTube career and his TRXYE EP last year, gaining almost three million Twitter followers and over three and a half million YouTube subscribers in the process. 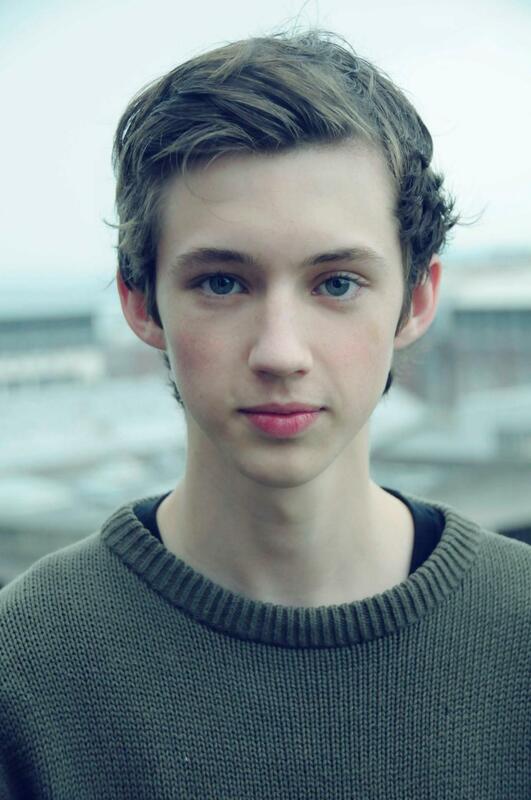 The electro-pop track follows a friendship between a younger Troye and what appears to be his best friend. As the story progresses, we jump between the friendship and the current Troye clinging onto this childhood boyfriend before ending as the duo kiss. Wild is the first of three in his Blue Neighbourhood series. Fingers crossed we see more of the adorable couple in part two and three. Teen idol Troye Sivan had a Hollywood gig at age 13, a lead role opposite John Cleese at 14 and a recording contract on his 18th birthday – all after a career “failure” at 12. How, exactly? To most shoppers out at Perth’s Murray Street Mall, 19-year-old Troye Sivan probably looks like any other local teenager – albeit an elvishly pretty one – out running errands with his mum and little brother. But to girls of a certain age (say, 12 to 17), Sivan seems to exist on a different plane altogether. Sporting his trademark quiff and oversized T-shirt promoting Tumblr, he could be a good 100 metres away and still the girls somehow sense him, the way birds detect unseen disturbances in their immediate environment. Soon enough – in Topshop and City Beach; outside Fossil and the newsagency – Sivan is surrounded by teenage girls in the process of thoroughly losing their minds. To be fair, most of them are lovely and sane, asking Sivan to pose with them in selfies before running off for a private group squeal. But on other days, Sivan’s fans have proper, pituitary-induced meltdowns. Some scream at his face point blank, while others shed hot, silent tears. Last Halloween, fans tracked down Sivan’s home address and waited outside the front door, calling out tauntingly, “Trick or treee-eeat?” Troye’s younger brother Tyde – who has a face that belongs in Dolly magazine and is fast becoming famous in his own right – deadpans that it was more like “Troye or Tyyy-yyde?” The brothers spent the evening hiding indoors, held hostage in their own home. Later, Sivan tells me that this kind of behaviour is why he avoids being near local schools after 4pm. Sivan’s mother, Laurelle, adds that she’s in the process of having their home de-listed from the White Pages.